This new Second Edition includes 281 California Web URLs, of which only 22 are catalog/reference links. Most links go directly to online databases. 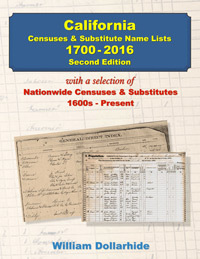 The volume includes an additional 20 pages of California bibliographic data not available when the first edition was printed in 2013.